These Terms and Conditions form a legally binding agreement (the “Agreement”) between an Affiliate applicant (or an approved Affiliate) (“Affiliate” or “You”) and Pala Interactive, LLC (“Pala” or “Pala Interactive”) in relation to its program whereby Affiliates refer real money players to the Client Website (the “Program”). PLEASE READ THESE TERMS OF SERVICE CAREFULLY AS THEY CONTAIN IMPORTANT INFORMATION REGARDING LEGAL RIGHTS, REMEDIES AND OBLIGATIONS. You should print off and/or save a copy of these Terms and Conditions (“Terms”) for your records. Pala Interactive manages the Program on behalf of its Clients. 1.1 These Terms apply to an Affiliate’s application to, or participation in, the Program. 1.2 An Affiliate may not apply to or participate in the Program unless they accept the Terms. 1.3 An Affiliate may not apply to or participate in the Program if they are not of legal age to form a binding contract with Pala Interactive, or are otherwise precluded from participating in the Program under the laws of the country in which they are resident or the laws in which the product is offered. 1.4 The Terms shall be deemed accepted by an Affiliate upon (i) submission of an application to participate in the Program; or (ii) continued participation in the Program. 1.5 Pala Interactive may make changes to the Terms from time to time, and Pala Interactive will make a new copy of the Terms available at https://www.canplaycasino.com/affiliates. Affiliates understand and agree that if they continue to participate in the Program after the date on which the Terms have changed, they are deemed to have affirmatively accepted the updated Terms. An Affiliate must regularly check these Terms to determine whether they have been updated and Pala Interactive is under no obligation to inform an Affiliate when the Terms have been updated. When Pala Interactive posts changes to the Terms, the “Latest Update” date at the top of Terms will be updated. 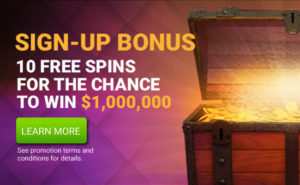 If an Affiliate elects not to continue to participate in the Program following such changes, You must inform Pala Interactive in writing via the following email address affiliates@canplaycasino.com that they wish to cease participating in the Program. In such circumstances the provisions governing termination with notice (see clause 3.2) shall apply. “Active Affiliate Player” means an Affiliate Player that has deposited Real Money into a Client account and generated Net Gaming Revenue of at least $1 CAD during the applicable monthly period in question. “Affiliate Player” means a person who is attached to Your Tracker ID who: (i) is eligible to open a user account at a Client Website but has not previously done so; (ii) through one of the Tracker ID(s) is brought to a Client Website; (iii) completes the registration process for a new user account at a Client Website including agreeing to all end-user agreements then in place, and makes a minimum deposit of $25 CAD; and (iv) has adequately fulfilled any other qualification criteria that we may introduce from time to time. “Sign-up Bonus Code” is a unique alphanumeric code that Pala may make available to you to provide to prospective Affiliate Players. When entered, the system automatically logs the Sign-up Bonus Codes and records you as the “Affiliate” in relation to the relevant Affiliate Player. “Tracker ID(s)” means the unique Tracking URL or Sign-up Bonus Codes that we provide exclusively to you, through which we track Affiliate Players and calculate Commissions. “Tracking URL” means a unique hyperlink or other linking tool for referencing the Client Website or Products through which you refer potential Affiliate Player. When the relevant Affiliate Player opens their account on the Client Website, our system automatically logs the Tracking URL and records you as the “Affiliate” in relation to the relevant Affiliate Player. 2.1 To begin the enrolment process, a potential Affiliate will submit a complete Program application via the Website (the “Application”). Upon joining the Program, the Affiliate certifies that he/she and the referred Affiliate Player are of legal age to participate in the Program as required by applicable law. Affiliate shall make diligent efforts to ensure that every Affiliate Player shall be over 18 years old and legally capable to participate in the Products based on the laws applicable to the Products and the Affiliate Player. 2.2 Pala Interactive will evaluate the Application and will notify the potential Affiliate of its acceptance or rejection to the Program. Pala Interactive may reject any Application if it is determined, in Pala Interactive’s sole and absolute direction, that the Application, the Affiliate or related Affiliate website is unsuitable for the Program. Are considered in the sole and absolute opinion of Pala Interactive to be or contain material that is offensive, shocking, graphic, or otherwise offensive or inappropriate. 2.4 In the event that an Affiliate has specified to advertise, market and promote for more than one Client Brand, Pala Interactive may choose to accept the application for one of its Clients and reject it in respect of another Client. 2.5 Pala Interactive at its sole discretion shall determine which Products an Affiliate is entitled to promote. 2.6 If Pala Interactive rejects the Application, potential Affiliates may re-apply to the Program at any time. Affiliates should also note that if Pala Interactive accepts an Application and the Affiliate’s website is thereafter determined, at Pala Interactive’ sole discretion, to be unsuitable for the Program, Pala Interactive may terminate this Agreement in accordance with clause 3.3 and 3.4. 2.7 An Affiliate shall not attempt to open more than one Affiliate account without prior written consent from Pala Interactive, nor will an Affiliate earn Commissions on their own or related persons accounts or any Fraud Traffic. Affiliates are not permitted to wager with an Affiliate account. If an Affiliate would like to play on a Client Website, such Affiliate must set up a separate player account on the Client Website. If an Affiliate would like to test the system, Pala Interactive will provide the Affiliate with a demo account. In the event of a violation, Pala Interactive has the right, at its sole discretion, to void all earned Commissions applicable from such play. For avoidance of doubt any Client Website personal player account must not be directly tagged to an Affiliates account. 3.1 The term of an Affiliate’s participation in the Program (“Term”) will begin upon Pala Interactive’s written confirmation of acceptance into the Program. 3.2 Either Pala Interactive or an Affiliate may terminate this Agreement and their participation in the Program at any time, with or without cause, by giving the other party at least 10 days written notice of termination (such notice to be sent to Pala Interactive by email to affiliates@canplaycasino.com (Attention: Affiliate Manager). 3.3 Pala Interactive has the right to terminate the Agreement without prior notice, in Pala Interactive’s sole and absolute opinion, if an Affiliate breaches any terms or conditions of this Agreement, breaches any applicable laws or regulations, or does anything else that Pala believes endangers any gaming licenses for Pala, its Clients, and/or their Affiliates. 3.4 Pala Interactive has the right to terminate the Agreement without prior notice if an Affiliate does anything to bring any of the Clients or the Clients’ Brands into disrepute. 3.5 If the Agreement is terminated pursuant to clause 3.2, the Affiliate will be entitled to unpaid commissions if any, earned by or on the date of termination. For the avoidance of doubt, no Commissions occurring after the date of termination will be paid. 3.6 If the Agreement is terminated pursuant to clause 3.3 and 3.4, the Affiliate shall not be entitled to unpaid commissions, if any, earned by or on the date of termination. 3.8 Any balance remaining on an account closed pursuant to clause 3.7 will be forfeited upon closure. If Affiliate subsequently decides to re-enroll in the Program, Affiliate must open a new account and shall not be entitled to any balance remaining in any previous accounts. 4.1 All rights and licenses granted to the Affiliate under this Agreement shall terminate immediately. 4.2 The Affiliate must remove all Client and Pala Interactive Program banners from their website and disable any links to the Client Website(s) from their website. Pala Interactive may withhold any final payments, pursuant to clause 3.5 for a reasonable time to ensure that the correct amount is paid to the Affiliate. 4.3 If Pala Interactive continues to permit activity (generation of revenue) from the Affiliate’s customers after the date of termination, this does not constitute a continuation or renewal of this Agreement or a waiver of termination. 4.4 The Affiliate will return to Pala Interactive any confidential information and all copies of information in their possession, custody and control relating both to Pala Interactive and the Clients. The Affiliate will cease all uses of any trade names, trademarks, service marks, logos and other designations of Pala Interactive, its licensors and of the Clients. 4.5 The Affiliate and Pala Interactive will be released from all obligations and liabilities to each other occurring or arising after the date of termination, except with respect to those obligations that by their nature are designed to survive termination, as set out in this Agreement. Termination will not relieve the Affiliate from any liability arising from any breach of this Agreement which occurred prior to termination. the non-exclusive, non- assignable license to the trademarks, banners and any other material belonging to the Clients and authorised by Pala Interactive for use by the Affiliate. 5.2 Pala Interactive will provide a variety of graphic and textual links to Affiliates for placement on their website(s). Subject to the Terms, Affiliates may display the links as often and in as many areas of their website(s) as they desire. 5.3 Each Client Website will register Affiliate Players with an account. By opening an account with a Client Website, each Affiliate Player agrees that all of such Client Websites’ applicable rules, policies and operating procedures will apply to them. Each Client Website reserves the right to refuse Affiliate Players or close their accounts if necessary in its discretion. 5.4 To the extent permitted by law, Pala Interactive will track Affiliate Players’ play on behalf of each Client and will supply reports summarizing customer activity to the Affiliate. The form, content and frequency of the reports may vary from time to time in Pala Interactive’ sole discretion. Total wagers made by Affiliate Players on the Client Website less payouts, charge-backs, bonuses, fraud, processing and licensing fees, and other incentives offered to the Affiliate Player on such Client Website. 6.2 Any payments owing pursuant to this Section 6 shall be referred to as Commissions. Pala Interactive reserves right to offer different Commission structures for different Clients and/or Client Websites. Pala Interactive will pay the Affiliate a percentage, pursuant to Sections 6.4 and 6.5, of the total monthly Net Gaming Revenue for play generated by Active Affiliate Players on each Client Website (for which the Affiliate refers, and is entitled per these Terms to refer, such Active Players). Pala Interactive will pay each Affiliate a Commission, which is calculated in accordance with clause 6.5, on all Active Affiliate Players that Affiliate refers under this Agreement. With consistent or increased affiliate performance, Affiliates may be offered higher Commission rates or hybrid plans. Affiliates need to meet both the minimum New Active Affiliate Players and Net Gaming Revenue conditions to be entitled for each Commission percentage rate set for the applicable tier below and the Commission calculation will be based on the lowest tier for which both the New Active Affiliate Players and Net Gaming Revenues requirements are achieved. The Commission calculation excludes any revenue generated from any closed player account regardless of the reason for the closure of that account. All the Products on which the Affiliate acts must meet the minimum payment amount per month before any payouts can be made. If an Affiliate’s monthly accrued Net Gaming Revenue is below the minimum amount set out at clause 6.9, no payout will be made, however that Affiliate’s Commission will accrue until the minimum payout amount has been reached and can be cashed out in subsequent months. 6.6 In the event that an Affiliate delivers fewer than 5 new Active Affiliate Players in any 6 month period, Pala Interactive may, at its sole discretion, drop that Affiliate’s Commission percentage to 10% until the Affiliate is able to deliver 5 New Active Affiliate Players. 6.7 Net Gaming Revenue shall be calculated for each Active Affiliate Player and in respect of each Client Website for which the Affiliate acts and the aggregate of all such calculations shall be the amount to which the relevant percentage is applied. 6.8 The determination of a payout (if any) in the event that fraudulent activity has been discovered will be at Pala Interactive’ sole discretion. 6.10 There shall be no maximum payout. 6.11 For the avoidance of doubt every Affiliate will participate in the Commission structure unless agreed upon in writing the Affiliate and Pala Interactive. 7.1 An Affiliate shall use its best endeavours to actively and effectively advertise market and promote a Client Website as widely and aggressively as possible in order to maximize the financial benefit to both the Affiliate, the Client and the Client Brand. From time to time, Pala Interactive may issue notifications to Affiliates setting out any jurisdictions from which it will not accept players (a “Restricted Jurisdiction Notification”). An Affiliate shall not engage in advertising, marketing and promotional efforts which violates the terms of any Restricted Jurisdiction Notification. Restricted jurisdictions may consist of countries or states within countries so Affiliates must use all reasonable endeavours to remain informed on which jurisdictions are restricted jurisdictions. An Affiliate shall only engage in advertising, marketing and promotional efforts which reflect positively upon the business reputation of a Client and the Client Brand. 7.2 Pala Interactive has no obligation to retag any Affiliate Players with incorrect or incomplete tracking information to the proclaimed Affiliate’s account. 7.3 Affiliates are responsible for providing all required documentation for the verification of ownership of their account. 7.4 An Affiliate shall not disclose or permit to be accessed any confidential information relating to the Program, these Terms, Pala, any Client, any Client Brand, and/or any Product. Affiliate will use any such confidential information solely for the purpose of carrying out their obligations under these Terms. If any such disclosure is required by law, Affiliate shall give Pala at least 30 days notice before such disclosure. 7.5 It is the responsibility of the Affiliate to ensure that the correct Tracker ID is utilized on its website. Pala Interactive will not change the Affiliate Tracker ID for Affiliate Players resulting from incorrect or incomplete tracking. Pala Interactive is not responsible for Commission Fees generated from Affiliate Players with incorrect or incomplete tracking information. 7.6 An Affiliate shall not offer any incentives to their referrals outside what is offered by a Client, Client Brand, and/or Client Website. This includes but is not limited to rake back, insurance, cash back or anything where a referral is compensated outside the normal incentives offered by the Client, Client Brand, and/or Client Website or without prior written consent of the Client Brands and/or the Program. 7.7 An Affiliate shall not establish any Facebook, Twitter or other social network domains, blog domain, profile name or display name containing any names, words and phrases that are or can be deemed to form part of a Client Brand. 7.8 An Affiliate is restricted from purchasing any domains that include any names, words and phrases that are or can be deemed to form part of a Client Brand or bidding on any keywords or keyword phrases that include, any names, words and phrases that are or can be deemed to form part of a Client Brand or any Pala Brands in any format in any pay per click (PPC) advertising network, unless Pala provides explicit written permission. This includes, but is not limited to, the following: Google, Yahoo/Bing, Baidu, Sogou, Ask, Overture, Kanoodle, Miva, Search123, Findology, Looksmart, Entireweb/SpeedyAds, 7search, ePilot, Enhance, AdRoll, Amazon, Quantcast, BuySellAds, Infolinks, Facebook, LinkedIn, and Pinterest. 7.9 An Affiliate is restricted from utilizing derivatives of any names, words and phrases that are or can be deemed to form part of a Client Brand or any Pala Brand in URLs and directory names for the intention of search engine optimization. 7.10 An Affiliate is restricted from setting up any site redirects from any page on their website or network of websites so that the page goes directly to a Client Website. 7.11 An Affiliate is restricted from optimizing any page of their website(s) for keyword or keyword phrases that include any names, words and phrases that are or can be deemed to form part of a Client Brand in any format. This includes, but is not limited to, meta tags, headers and body content. 7.12 An Affiliate is restricted from purchasing or building off-site text links with anchor text for keyword phrases any names, words and phrases that are or can be deemed to form part of a Client Brand. 7.13 Banners and links may not be placed within unsolicited email, unauthorized newsgroup postings, chat rooms or through the use of “bots”. Commission Fees earned from traffic generated illegally or in contravention of these Terms will not be due and payable to an Affiliate. An Affiliate shall bear all costs and expenses incurred in connection with the advertising, marketing and promotion of a Client Brand. An Affiliate shall not create, publish, distribute, or permit any written material that makes reference to any names, words and phrases that are or can be deemed to form part of a Client Brand without first submitting such material to Pala Interactive and receiving prior written consent, which shall not be unreasonably withheld. Remove any such graphic and/or textual images from an Affiliate website as directed by Pala Interactive from time to time throughout the Term of this Agreement. 7.15 Pala Interactive employs strict eDM (email direct marketing) guidelines and policies for affiliates, media and other third parties. The eDM guidelines and policies serve to protect the “Client Brands, and email reputation with customers, Internet Service Providers (Google, AOL, Yahoo, Hotmail, etc.) and spam services including Spam Cop, Spam Assassin, Goodmail, Bonded Sender and others. Affiliates that conduct unauthorized eDM communications advertising any of the Client Brands are subject to Pala Interactive placing their Affiliate account under review and withholding all funds otherwise due pending investigation. Classification of eDM communications that would be subject to review includes unsolicited email (spam), spamvertising and spoofing. By registering as an Affiliate, an Affiliate agrees to abide to Canada’s Anti-Spam Legislation (CASL), CAN-SPAM, FTC and FCC regulations, and where applicable, the European Union General Data Protection Regulation (Regulation (EU) 2016/679), and employ best practices in all marketing email communications. An Affiliate further acknowledges and agrees that subscribers and customers may incur expenses in dealing with Spam-generated mail, and that Pala Interactive or its Clients may potentially incur legal expenses and penalties as a result of unauthorized third party email communications and in such event expenses will be deducted from the Affiliate’s account. In such cases, Pala Interactive shall determine such amounts in good faith and Pala Interactive’ determination will be deemed accepted by the Affiliate, and such amount will be collectable by law in accordance with this Agreement. Should these expenses not be covered by funds in the Affiliate’s account Pala Interactive reserves the right to investigate alternative means for obtaining payment. For example: should the Affiliate’s account have generated purchasing accounts Pala Interactive will hold payment of Commissions for these accounts until such a time as the account for damages has been cleared. Should the Affiliate’s account be inactive and not be generating profit through Commission payments Pala Interactive reserve the right to demand payment from the Affiliate. Pala Interactive will seek criminal and contractual sanctions against any Affiliate and Affiliate Player involved in fraud, dishonesty or criminal acts. Pala Interactive will withhold Commissions due to an Affiliate where fraud, dishonesty or criminal acts are suspected. Affiliates agree to abide by the fraud policies of all of the Clients. 8.1 Pala Interactive will procure the payment of Commissions earned pursuant to clause 6 on a monthly basis in arrears and according to the applicable Commission structure. 8.2 Payment for the preceding month shall be processed by schedule below. If an Affiliate’s Commissions earned do not exceed the minimum payout amount (see table under clause 6.9) in any given month, then payment will be carried over to the following month until they exceed the minimum balance. 8.3 It is the Affiliate’s responsibility to secure his/her account information. If the affiliate account is taken by others for any reason, and that Affiliate’s Commission payments have been affected, Pala Interactive shall not be liable to pay again any Commission applicable to that affiliate account that has already paid out. 8.4 Any negative Net Gaming Revenue in any calendar month shall be carried forward to the subsequent month(s) and applied in determining the Net Gaming Revenue for Active Affiliate Players. 8.5 It is the Affiliate’s responsibility to select the method of payment and to pay transaction fees associated with their selected payment. It is also the Affiliate’s responsibility to ensure that the bank details saved in the system are complete and up-to-date by the end of the previous month. Unless otherwise stipulated, payment will be withheld. 8.6 All taxes due in connection with any payments to you are your sole liability. You are responsible for complying with the rules, if any, for registering for and paying income tax and similar taxes in respect of your income from the Terms and for collecting and paying the income tax and social security contributions in respect of your staff, if you have any staff. If Value Added Tax (VAT) or any other sales tax or turnover tax is chargeable, you are responsible for complying with the rules, if any, for registering for the tax and collecting an paying tax in the country where the services are provided and you acknowledge that the payments that you receive shall be deemed to include all VAT or sales tax or turnover tax. 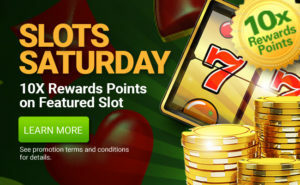 8.7 In the event that it is necessary to change amend the payment method or bank account details for receiving Commissions, Affiliates must submit new details at https://www.canplaycasino.com/affiliates and may be asked to provide supporting documentation at the sole discretion of the affiliate program. Pala Interactive shall endeavour to approve the change request, provided all supporting documentation is complete, by no later than one day before the end of the month for the payment to be made by the payment schedule outlined in clause 8.2 of the following month. 8.8 All amounts are calculated and paid in accordance with Pala Interactive’ reasonable and good faith means of statistical analysis and customer tracking methods. Affiliates agree that Pala Interactive’ statistical analysis and customer tracking methods are accurate and reasonable and its calculations final. 8.9 If an Affiliate fails to display banners and text relating to banners of Clients in accordance with instructions from Pala Interactive, Pala Interactive shall have the right to withhold all Commission payments due to such Affiliate until Pala Interactive’ instructions have been followed. 8.10 If an Affiliate Player is banned from playing at a Client Website for any reason, and the relevant Client returns any deposited funds to the Affiliate Player, the Affiliate will not be entitled to any Affiliate Commissions earned by the Affiliate in respect of the revenues generated by such banned Affiliate Player. This could also be grounds for Affiliate account termination at the sole discretion of Pala Interactive. 8.11 If an Affiliate Player is being investigated for credit card, bank information or address verification, Pala Interactive will withhold payment of Commissions earned by the Affiliate in respect of revenues generated by such Affiliate Player until the investigation is completed. 8.12 Unless an Affiliate informs Pala Interactive, within 30 days of receipt of any Commission payment, of its belief that the Commission has been incorrectly calculated and the wrong amount been paid then the Affiliate is deemed to have accepted that the Commission paid to it has been calculated correctly. 8.13 Affiliate shall comply with all applicable federal, state, provincial, and foreign laws and regulatons in fulfilling its obligations under this Agreement. This shall include all privacy and data protection laws and regulations, including the Canadian Personal Information Protection and Electronic Documents Act (PIPEDA), CASL, and where applicable, the European Union General Data Protection Regulation (Regulation (EU) 2016/679) (collectively, Data Protection Laws). 8.14 If Affiliate intends to share or transfer any personal or identifying information of a European Union resident with Pala Interactive, Affiliate shall provide Pala Interactive with written notice at least 10 days before such information is shared or transferred. 8.15 Affiliate shall indemnify and hold harmless Pala Interactive, its officers and directors, employees and its affiliates and their respective successors and assigns and each other person, if any, who controls any thereof, against any loss, liability, claim, damage and expense whatsoever (including, but not limited to, any and all expenses whatsoever reasonably incurred in investigating, preparing or defending against any litigation or regulatory action commenced or threatened or any claim whatsoever) arising out of or based upon Affiliate’s violation of or non-compliance with any laws, including Data Protection Laws. Affiliate further agrees to pay all costs, fees, and expenses (including legal costs) that Pala Interactive may sustain or incur as a result of Affiliate’s violation of or non-compliance with any laws, including Data Protection Laws. 8.16 Affiliate will cooperate with Pala Interactive in the event of any investigation or charges by an industry group or regulator, including investigations related to Data Protection Laws. 8.17 Affiliate shall protect any personal or confidential information using appropriate physical, administrative, and technical safeguards. In the event information under this Agreement in the control of Affiliate is accessed without authorization or otherwise compromised as a result of a security incident, Affiliate shall notify Pala Interactive within 24 hours of discovering the unauthorized access or incident. 9.1 NO ADVICE OR INFORMATION, WHETHER ORAL OR WRITTEN, OBTAINED BY AN AFFILIATE FROM PALA INTERACTIVE OR IN RELATION TO THE PROGRAM SHALL CREATE ANY WARRANTY NOT EXPRESSLY STATED IN THE TERMS. PALA INTERACTIVE FURTHER EXPRESSLY DISCLAIMS ALL WARRANTIES AND CONDITIONS OF ANY KIND, WHETHER EXPRESS OR IMPLIED, INCLUDING, BUT NOT LIMITED TO THE IMPLIED WARRANTIES AND CONDITIONS OF MERCHANTABILITY, FITNESS FOR A PARTICULAR PURPOSE AND NON-INFRINGEMENT. 9.2 YOU EXPRESSLY UNDERSTAND AND AGREE THAT PALA INTERACTIVE, ITS CLIENTS, ITS SUBSIDIARIES AND AFFILIATES, AND ITS LICENSORS AND SERVICE PROVIDERS SHALL NOT BE LIABLE TO YOU FOR: (I) ANY DIRECT, INDIRECT, INCIDENTAL, SPECIAL CONSEQUENTIAL OR EXEMPLARY DAMAGES WHICH MAY BE INCURRED BY YOU, HOWEVER CAUSED AND UNDER ANY THEORY OF LIABILITY. THIS SHALL INCLUDE, BUT NOT BE LIMITED TO, ANY LOSS OF PROFIT (WHETHER INCURRED DIRECTLY OR INDIRECTLY), ANY LOSS OF GOODWILL OR BUSINESS REPUTATION, ANY LOSS OF DATA SUFFERED, COST OF PROCUREMENT OF SUBSTITUTE GOODS OR SERVICES, OR OTHER INTANGIBLE LOSS; (II) ANY LOSS OR DAMAGE WHICH MAY BE INCURRED BY YOU, INCLUDING BUT NOT LIMITED TO LOSS OR DAMAGE AS A RESULT OF: (A) ANY CHANGES WHICH PALA INTERACTIVE MAY MAKE TO THE PROGRAM, OR FOR ANY PERMANENT OR TEMPORARY CESSATION IN THE PROVISION OF THE PROGRAM (OR ANY FEATURES WITHIN THE PROGRAM); (B) THE DELETION OF, CORRUPTION OF, OR FAILURE TO STORE, ANY CONTENT AND OTHER COMMUNICATIONS DATA MAINTAINED OR TRANSMITTED BY OR THROUGH YOUR USE OF THE PROGRAM; (C) YOUR FAILURE TO PROVIDE PALA INTERACTIVE WITH ACCURATE ACCOUNT INFORMATION; (D) YOUR FAILURE TO KEEP YOUR PASSWORD OR ACCOUNT DETAILS SECURE AND CONFIDENTIAL. THE LIMITATIONS ON PALA INTERACTIVE’ LIABILITY ABOVE SHALL APPLY WHETHER OR NOT PALA INTERACTIVE HAS BEEN ADVISED OF OR SHOULD HAVE BEEN AWARE OF THE POSSIBILITY OF ANY SUCH LOSSES ARISING. 9.3 YOU WARRANT THAT YOU SHALL ABIDE BY ALL APPLICABLE LAWS AND REGULATIONS IN PERFORMING YOUR OBLIGATIONS UNDER THIS AGREEMENT. YOU FURTHER WARRANT THAT YOU SHALL NOT TRANSFER NO trojan horses, trap doors, back doors, easter eggs, worms, time bombs, cancel bots or other similar computer programming virus to PALA INTERACTIVE, the clients, or any client brand AT ANY TIME. 10.1 This Agreement constitutes the whole agreement between an Affiliate and Pala Interactive in relation to its subject matter. 10.2 An Affiliate agrees that if Pala Interactive does not exercise or enforce any legal right or remedy which is contained in the Agreement (or which Pala Interactive has the benefit of under any applicable law), this will not be taken to be a formal waiver of Pala Interactive’ rights and that those rights or remedies will still be available to Pala Interactive. 10.3 An Affiliate may not assign this Agreement, by operation of law or otherwise, without prior written consent of Pala Interactive. Subject to that restriction, this Agreement will be binding on, inure to the benefit of, and enforceable against an Affiliate and Pala Interactive and their respective successors and assigns. Should an affiliated website be sold, that website’s existing sheet of players will not necessarily become property of the new ownership and treatment of such players shall be in the sole discretion of Pala Interactive. 10.4 Pala Interactive and the Affiliate are independent contractors, and no terms in this Agreement will create any partnership, joint venture, agency, franchise, sales representative, or employment relationship between the parties or with any client. The Affiliate will have no authority to make or accept any offers or representations on behalf of Pala Interactive or any Client. The Affiliate will not make any statement, whether on its site or otherwise, that states or implies that the Affiliate has the authority to represent Pala Interactive or any client. 10.5 If any court of law, having the jurisdiction to decide on this matter, rules that any provision of these terms is invalid, then that provision will be removed from the terms without affecting the rest of the Agreement. The remaining provisions of the Agreement will continue to be valid and enforceable. 10.6 The Agreement, and an Affiliate’s relationship with Pala Interactive under the Agreement, shall be construed and enforced with, and the rights of the parties shall be governed by, the laws of Ontario, Canada, without regard to its conflict of laws provisions. Each of the parties hereto hereby irrevocably attorns to the exclusive jurisdiction of the courts of the province of Ontario. Notwithstanding this, the Affiliate agrees that Pala Interactive shall still be allowed to apply for injunctive remedies (or an equivalent type of urgent legal relief) in any jurisdiction. 10.7 This Agreement and all representations, obligations, undertakings and warranties contained in it shall ensure for the benefit of any successor and/or assignees of Pala Interactive. 10.8 Third-Party Rights. Except insofar as these Terms expressly provides that a third party may in their own right enforce a term of these Terms, a person who is not a party to these Terms has no right under local law or statute to rely upon or enforce any term of these Terms but this does not affect any right or remedy of a third party that exists or is available apart from under that local law or statute. 10.9 No Waiver of Tribal Sovereign Immunity. The Pala Band of Mission Indians, a federally recognized Indian Tribe (the “Tribe”), is Pala’s majority shareholder. It is understood and agreed that any suit, action, proceeding and/or legal process of any type whatsoever arising out of these Terms against us will be expressly limited to Pala Interactive LLC, and the recovery of any monetary damages upon any settlement, arbitration, decision or judgment resulting therefrom shall be limited solely to recovery against the assets of Pala Interactive LLC. The Tribe itself is not subject to jurisdiction of state or federal court, and does not waive its sovereign immunity in any respect, nor under any circumstances is there a waiver of any immunity of any elected or appointed officer, official, member, manager, employee or agent of the Tribe. Accordingly, in the event of any dispute, whether in the context of any arbitration or alternative dispute resolution or court proceeding between us and you, we will not assert application of any tribal laws, any requirements of following tribal court procedures, or sovereign immunity. 10.10 LIMITATION OF LIABILITY. Our obligations under the Terms do not constitute personal obligations of the owners, directors, officers, agents, employees, vendors or supplier of the Site or Services. In no event will we be liable for any indirect, special, incidental, consequential or punitive loss, injury or damage of any kind (regardless of whether we have been advised of the possibility of such loss) including any loss of business, revenue, profits, goodwill or data or any compensation, reimbursement, or damages arising in connection with any termination of the Terms or your participation in the Program. Our liability arising under the Terms, whether in contract, tort (including negligence) or for breach of statutory duty or in any other way shall only be for direct damages and shall not exceed the revenues generated and payable to you in relation to the Client Websites that the dispute related to over the previous 12 months at the time that the event giving rise to the liability arises. You are solely responsible for any websites that you use to provide the affiliate services described herein, including their development, operation, and maintenance, and all materials that appear on it, and we shall have no liability for your website or for any of your end users’ claim relating to your website. IN WITNESS WHEREOF, the Affiliate expressly agrees to the terms and conditions of this Agreement by clicking the “Submit” button on the Affiliate Registration Form page. Start earning today! Join the Pala Interactive Program. 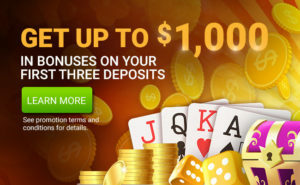 If you have any questions, contact affiliates@canplaycasino.com.